Why & When is a Customs Bond Usually Required? Importers who regularly bring goods into the US should consider getting continuous bonds. However, before you get a continuous bond, you need to assess whether you import enough goods (value wise) to warrant its purchase. To do that, you should look at it this way: the yearly cost of a bond is about $500 and with it, you get a minimum of $50,000 for liability. Knowing this, calculate the amount of money this can save you. Most customers quickly realize that paying for a continuous bond is very good for business since it pays itself off after a few shipments. Past that, you’ll take full advantage of the convenience of a bond without having to worry about paying extra for it. Buying single bonds is also an option you may want to consider. These work only for 1 entry into the United States and aren’t automatically renewable. If you’re a large importer, obtaining a yearly continuous bond for 500 dollars is certainly a great deal and an excellent investment, too. What are the required steps to apply for a US Customs bond? In order to apply for a customs bond, we require a 1-page application, but also a power of attorney form. The POA form needs to be filled in full and signed by an executive of the corporation (CEO, COO, CFO, Treasure, Secretary, or President) working for the company. In case you already have a bond, we’ll file it with the Customs Border Protection before its effective date. Nothing will change in your importer practices and the new effective date will remain unchanged as well. Your bond will be issued by taking into consideration the CBP requirements and we’ll also handle all bond changes free of charge. How long does your company take to put the continuous bond in place? The Customs and Border Protection is going to determine the amount of time it takes for a bond to be filed. The most popular bond is the fifty thousand dollars continuous Import Bond. If you want to apply for this type of bond, you need to inform the Customs department ten business days in advance. Depending on the other continuous bond types and amounts you may want to consider, they all require a minimum notice of ten days and in some cases, more. A CIB is valid at any port in the United States and can be effectively used by any Freight Forwarder or Customs broker of your choice for the purpose of clearing your entries. It’s important to mention that an importer can only have a single CIB on file with the Customs Border Protection(CBP) at a time. The Customs Border Protection issues a bond number (when a bond is placed) and ties it to the company’s tax ID or Importer Number. Where the bond is bought is not important, since it remains a policy of the surety and no third party can take ownership of it. Does a Customs bond renew? When a notice of renewal is sent by a third party billing service, it means the receiver needs to pay for the upcoming bond term. This means that in order for the bond to still remain in effect, the insurer needs to collect the payment for it. When you run a business, you need to know that shipping what your clients have ordered as fast as possible is essential to making sure that they’re happy with your services. After all, if the clients are happy, then they’re going to recommend your services to their friends and their friends to their friends and so on. Therefore, it the paragraphs below, we’ll let you know more about the best way to increase your bottom line by offering better services to your clients. One of the best ways to ensure that your clients are very happy with your services is to charge them very low or no shipping costs at all. This doesn’t actually mean that you’re going to cover the cost out of pocket. No, it’s not about that. It means that you should basically incorporate the shipping cost in the final price of the product you’re selling. By doing this, you’ll immediately notice that a lot more people are going to buy from you. No matter what you’re sending out, you need to make sure that the items are properly packaged. After all, if they get damaged in transit and your customers call you about it, then not only are you going to eat up the cost of replacing the product, but there’s also a good chance that if the matter is not dealt with satisfactorily, then the client may not do business with you again. 1 day shipping and handling is recommended, especially if you want to keep your customers very happy. If possible though, then it’s recommended that you also ship on the very same day. After all, the sooner your clients get their hands on their order, the happier they’re going to be. There are times when a product is so hot that it sells like hotcakes, case in which you need to make sure that you stock up on it as soon as possible. If you don’t, then you’re going to have to deal with a lot of disgruntled customers and lose a lot of business in the process as well. Lastly, do not forget to have the tracking number uploaded automatically every time an order is shipped. This allows the customer to follow the package at all times and adjust his schedule so that he is home when the mailman knocks on his door. As a business, you’re probably aware of the fact that if you really want to improve your profit margin, then you certainly need to consider selling your merchandise to international clients. The thing is that doing so is not as simple as you may think and there are quite a few things you need to bear in mind before doing so. So with that in mind, in the short guide below we’re going to let you know more about what you need to keep in mind when shipping product internationally. You’d be surprised what certain countries deem to be illegal and one example of them is Vietnam. For instance, if you want to sell calendars to clients in Vietnam, don’t be surprised when you’ll hear that this is actually illegal. But selling calendars to clients in this country is not impossible as long as you only sell 100 calendars per customer. With the previous example of what you cannot sell in certain countries, it’s very important that you start to learn more about overseas e-commerce by selling to countries you know are going to order a lot of product from you. One example is this: If you have a business that’s based in the US, then it’s going to be a lot cheaper and easier to sell to customers in Canada and Mexico than it is to sell to customers in Korea. Shipping within the United States can be cheap and also fast, so if you want to ship a shirt from NYC to Georgia, then the cost is going to be a flat rate. However, that’s not going to be the case when you sell internationally, especially if you use a different carrier and the value of the item you send is high. Given these not-so-rare situations, it’s best that you start learning more about the fees your clients have to pay when they order certain products from you. After all, no one would be happy to be forced to pay like twenty to thirty dollars or even more than that for a product they purchased from you in the first place because of the lower cost. As a result, he may eventually refuse the product or just accept it and probably not order from you again. If this happens, then you’re not only going to lose a customer, but may also have to pay the return shipping cost from your own pocket. When it comes to shipping large vehicles overseas, you know that it’s going to cost you a fortune unless you choose to use a reliable shipping company that doesn’t charge a hefty price for its services. Well, depending on where you would like to ship your vehicle, you should know that there are many benefits to using a trucking company to have your items shipped on time and for a good price, as we’re going to see below. It’s important to bear in mind that when it comes to shipping trucks, you need to use the Ro-Ro method. This method involves driving the large vehicle into the ship of the vessel that’s going to be shipping the truck to the destination of your choice. Of course, once the vehicle is driven into the ship, it’s going to be properly secured so that it doesn’t move during transit. To better protect your vehicle though, it’s also recommended that you insure it. You may never know what happens during its transit, so it’s better to be safe than sorry. Probably the number one thing you need to keep in mind when it comes to choosing a shipping company that’s going to take care of shipping your large vehicle overseas is to make sure that they are well reputed. To check that, you only need to go on the internet and start looking for reviews. There you’ll find many other people that have posted their experience with it and based on their opinions you can decide whether to use the company or not. It’s important to learn more about pricing, especially when it comes to shipping large items. This is because depending on what you want to ship, special pricing structures may apply. For instance, they may calculate shipping rates based on volume and not on weight and at the end of the day, this can add a lot to the overall shipping cost. By learning more about this prior to signing a contract with a shipping company, you can avoid paying extra fees. Discounts are generally offered when you decide to ship multiple items and you are sure to be given a certain percentage off the original price if you negotiate. Sure, it may be awkward at first, especially if you’ve never negotiated before, but it can save you a lot of money in the long run. If you’ve had to ship internationally before, then you’re probably aware of the fact that this can become very expensive, very fast. The truth is that you don’t really need to worry about shipping costs anymore and that’s because we have come up with a few tips that can help you save money on this. Take a look below in order to learn more. One of the first things you need to when it comes to shipping stuff internationally is that you need to check what can be imported and what cannot be imported in the destination country. Where can you get this information from? Well, you just need to go on the customs or embassy page of the destination country and you’re going to find all the info you need about this there. Another thing you need to bear in mind is that your international customers don’t really want to pay customs fees and they’re certainly going to be very upset if this happens. In this case, it’s best that you mark down the cost of the item they have purchased and also mark it down as a gift. This way, when the item arrives in the destination country, the customs offices there won’t charge them any fees for it. However, you are also required to write down the type of merchandise you are sending and if you don’t know what to write, then just stick with candies and toys. One of the biggest mistakes that a lot of people are making is that they use courier services, such as DHL, FedEx and UPS, but the thing is that while they do indeed deliver your package in a set timeframe (based on the type of delivery you selected), they’re always going to charge the person receiving it a customs fee, including any other import or customs fee that are applicable for the purchase. As you can imagine, your customers are certainly not going to be very happy about this, so that is why you need to stay away from such services altogether. 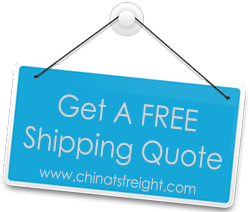 Instead, opt for freight services, especially if you’re sending out large packages. Last but not least, you should consider negotiating with the shipping companies you’re currently using. This is certainly going to help you get a much lower shipping rate (with discounts of up to seventy five percent), based on the sales volume you have every month.